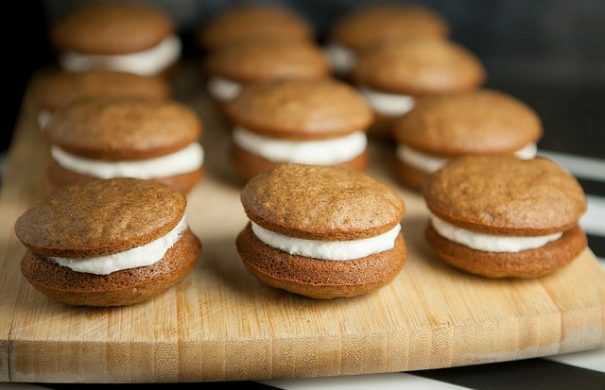 AMISH MARKET Pumpkin Whoopie Pies with Marshmallow Filling recipe! 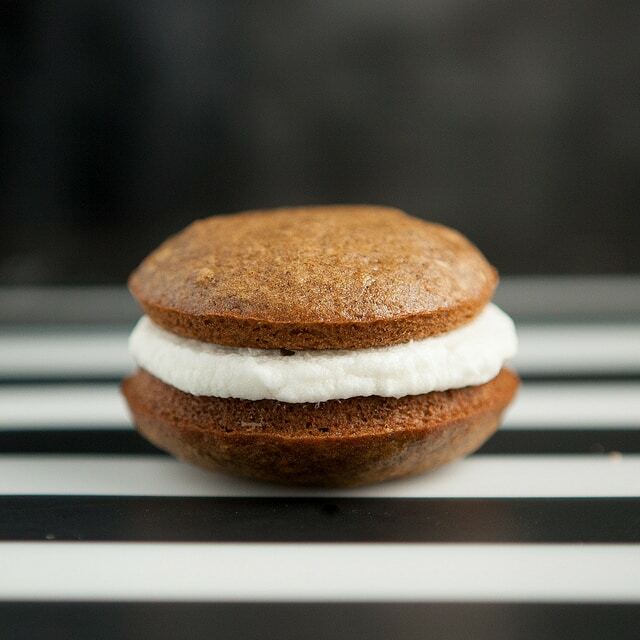 This is an easy pumpkin desserts recipe that makes moist pumpkin whoopie pies! 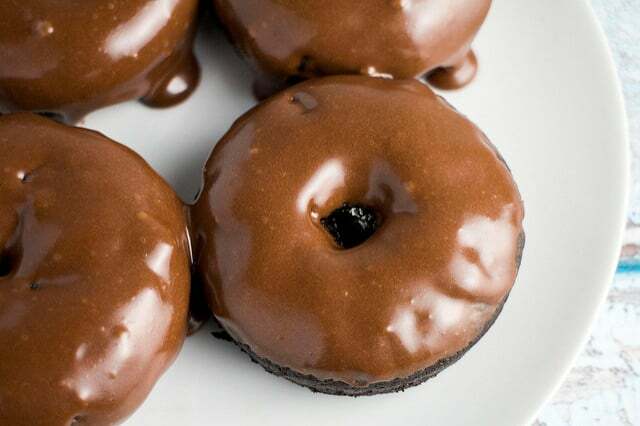 These taste just like the whoopie pies you buy in Amish markets in Lancaster County! One of the BEST pumpkin desserts recipes! Have you been to an Amish market? Growing up near Amish Country, I’ve been to quite a few. If there’s anything you should take from an Amish Market it’s this: The Amish know how to bake. 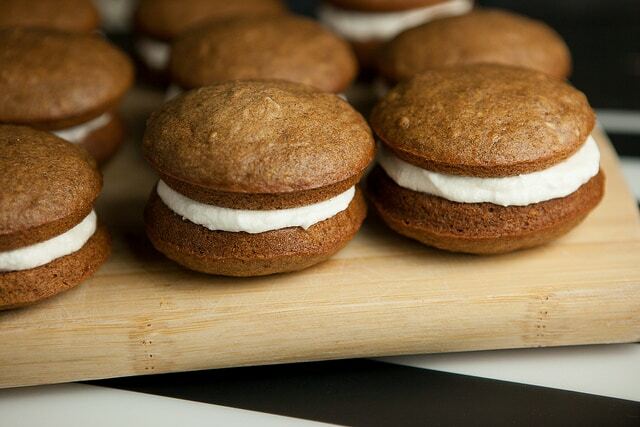 Bread, cookies, cinnamon rolls, pies, chocolate candies… and whoopie pie. Whenever we visited a market (and to this day) I stock up on these delicious pies. Right there in the market my eyes close, the outer world shuts down. Only me and my whoopie pie exist. It’s a beautiful moment. 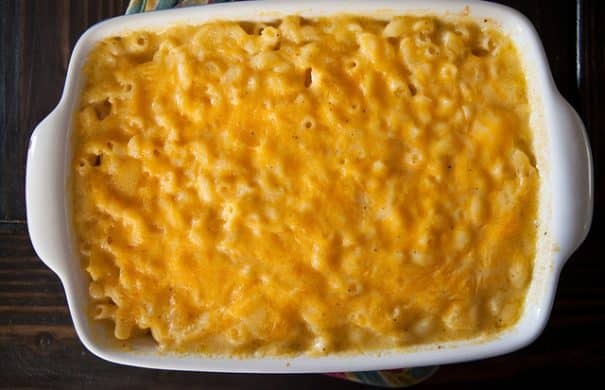 Homemade macaroni and cheese recipe with creamy pumpkin pasta sauce is the best comfort food. It’s so easy to make! 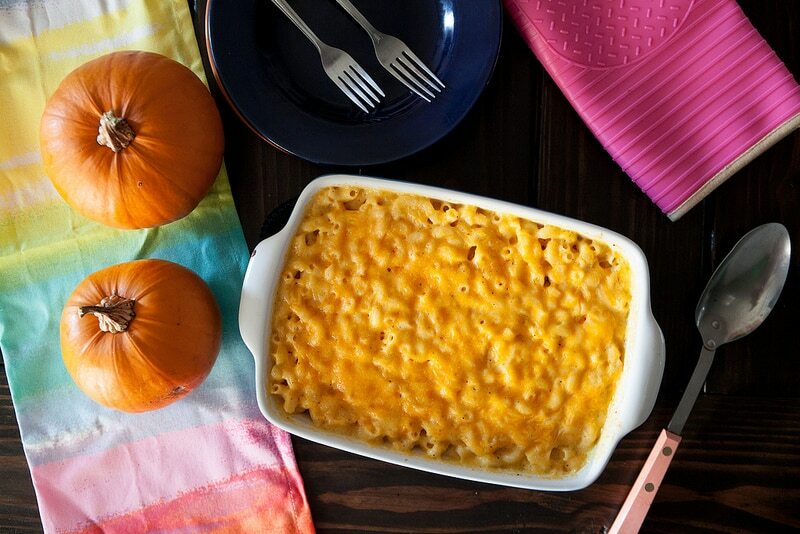 This cheesy macaroni and cheese recipe uses 1 cup pumpkin puree and 2 cups shredded cheddar cheese. It’s my favorite homemade macaroni and cheese recipe for Fall! I know some of you don’t want the summer to end, but I’d like for you to take my hand and enter into Fall’s journey. It’s full of beautiful leaves, apple cider, chilly nights, comfortable socks, ghosts and goblins, the color orange. Oh pumpkin! Oh this recipe! First, it was Fudgy Pumpkin Brownies. Then it was Pumpkin Chili. 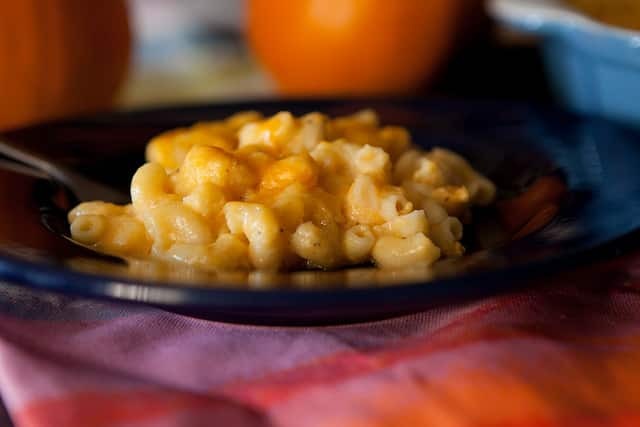 Now I’m pulling out the big guns… Macaroni and Cheese in creamy pumpkin pasta sauce!